The Southern Elephant Seal is among the 2 extant species of elephant seals. 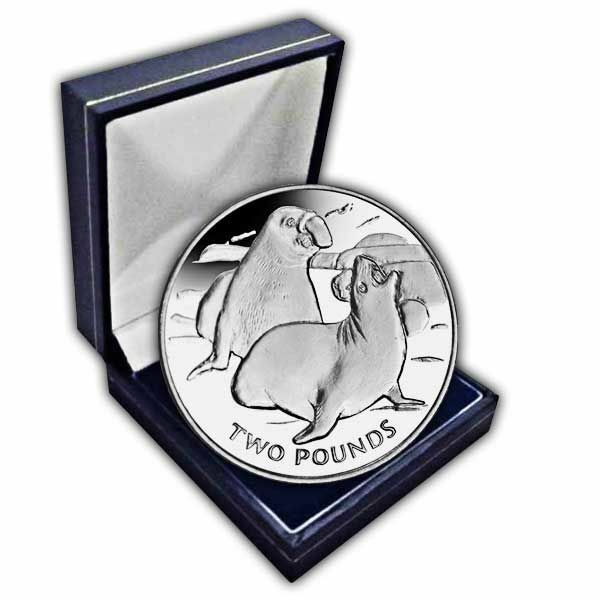 It is both the largest pinniped and member of the order Carnivora living today, in addition to the largest Antarctic seal. 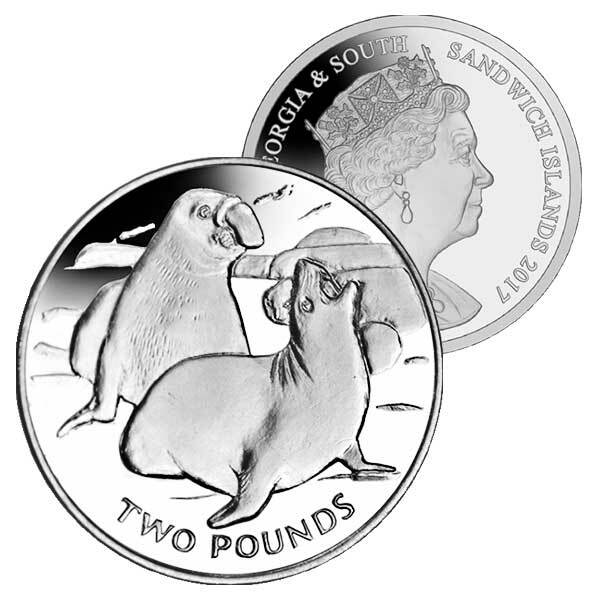 The seal gets its name from its fantastic size and the large proboscis of the adult males, which is utilised to make extremely loud roaring sounds, especially during the breeding season. Immediately recognisable by the large, inflatable proboscis, the male southern elephant seal is the most significant seal in its family. They are able to move themselves quickly (as quickly as 8 km/h (5.0 miles per hour)) in this way for short-distance travel, to go back to water, to overtake a female, or to chase a burglar. 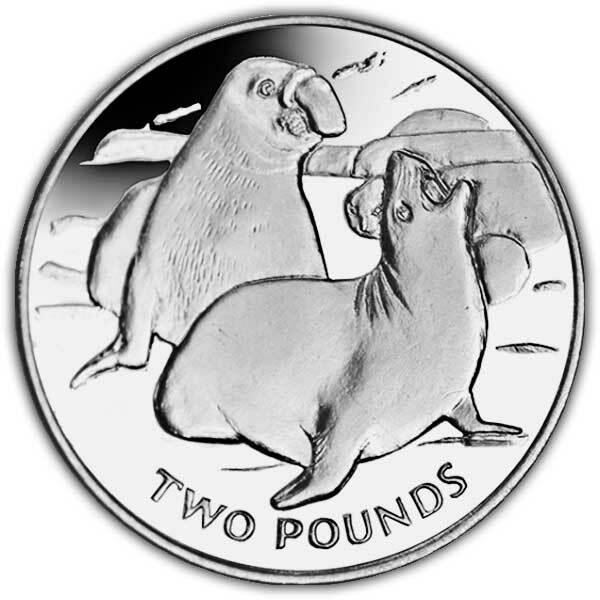 This New 2017 coin portrays a male and female Elephant Seal while sitting on a beach, which is among the most popular places to discover any elephant seals in the South Georgia and South Sandwich Islands. The largest subpopulation remains in the South Atlantic, with more than 400,000 individuals, consisting of about 113,000 breeding women on South Georgia; the other breeding nests of the Atlantic subpopulation lie on the Falkland Islands and Valdes Peninsula in Argentina (the just continental breeding population).